Finding fun crafts for teens isn’t always easy, but making DIY crafts for girls that are popular items will surely please your teen crafty spirit! Whether you’re looking for something to keep you from getting bored, want teen crafts to make and sell, or are looking for DIY gifts for teens to make for friends and family. we know you’ll love our collection of DIY crafts for girls. Some of the crafts for teens are easy and can be done in under 10 minutes, others take a little more time and skill, but we know you can handle it! Some of our favorite crafts for girls include a chunky knitted blanket you arm knit, a flamingo snow globe, DIY fluffy slime and the marble jewelry dish. We can’t wait to hear from YOU on what amazing crafts for teens you end up making! Making a diy clay jewelry dish makes fun crafts for teens but they also make great crafts for teens to make and sell or to give as gifts. 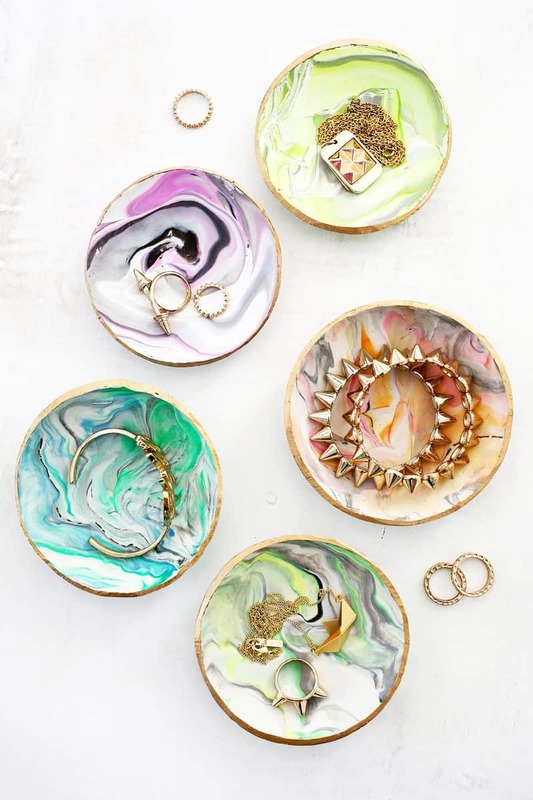 You’d never know these marble jewelry dish tutorials weren’t store bought. Here’s a fun Youtube video to show you how they made an awesome marble jewelry dish! Easy pom pom crafts are definitely crafts for teens they’ll love to make! 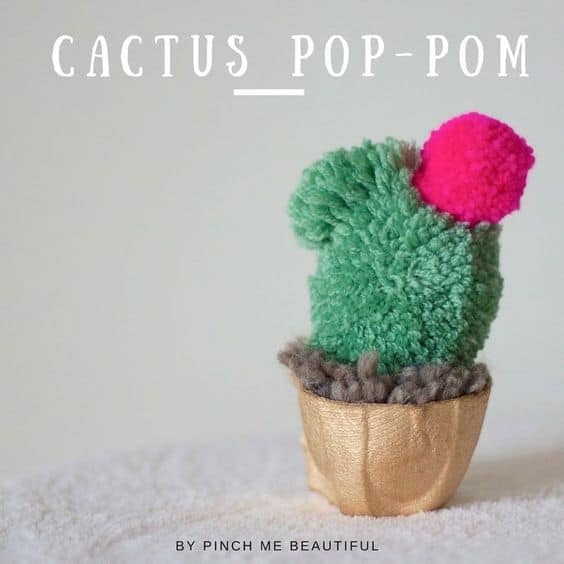 Both pom pom crafts and all things cacti seem to be everywhere on Pinterest and Instagram these days, instead of having to take care of a real plant, why not make an easy pom pom cactus pot? Making your own beauty and bath products is so fun and easy! You don’t need to settle for boring plain white soap when you can learn how to make gemstone soap rocks in only 10 minutes! 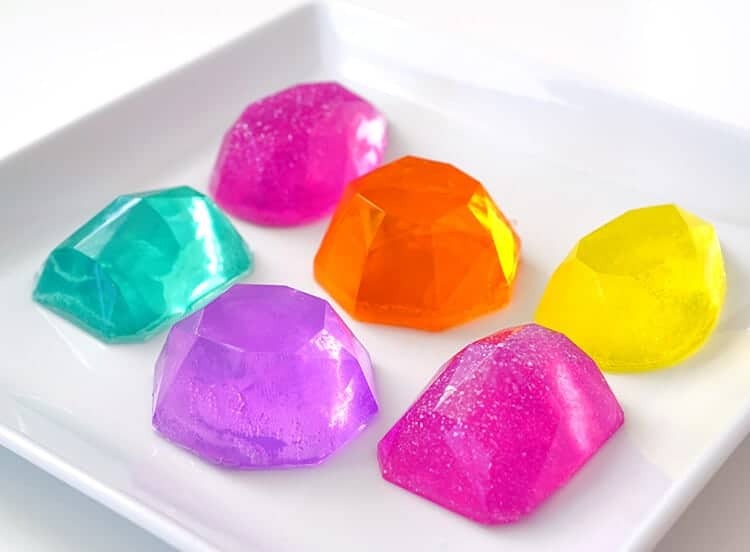 Here’s our recommended gem stone soap mold to get you started. And if you want to make your own soaps, but would prefer a kit, here’s a great set with everything you need. This really makes a great teen craft for girls! My best friend’s teen daughter sells homemade soaps and beauty products at our local farmers market. Making your own soaps is a terrific craft ideas for teens to make and sell too. 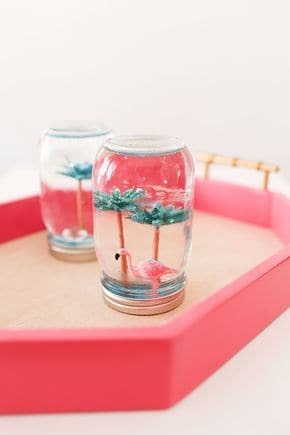 If you’re a teen and you’re dreaming of the beach instead of the winter snow, how about making the cutest flamingo snow globe? You might be surprised to hear that this mason jar snow globe project is actually made without water and is made with natural glycerin instead. This is definitely one of our favorite DIY crafts for girls! Decorating monogram letters like the first letter of your first name, your initials or even a cute saying like HI or LOL, make awesome crafts for teens. 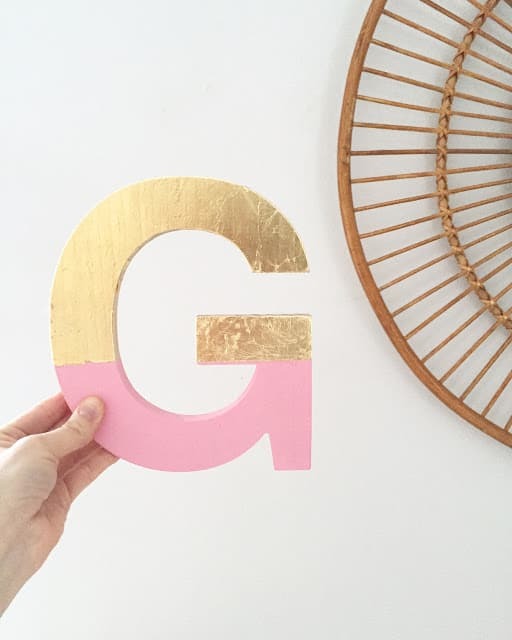 Crafts stores carry a huge inexpensive variety of wooden letters and this is an easy project to keep teens busy that can be made in under an hour. Making your own fizzy bath bombs is all the rage. 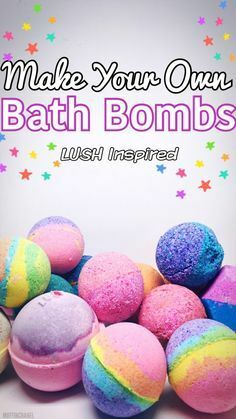 My spend tons of money on the popular LUSH bath bombs when you can make your own bath bombs with this bath bombs recipe! 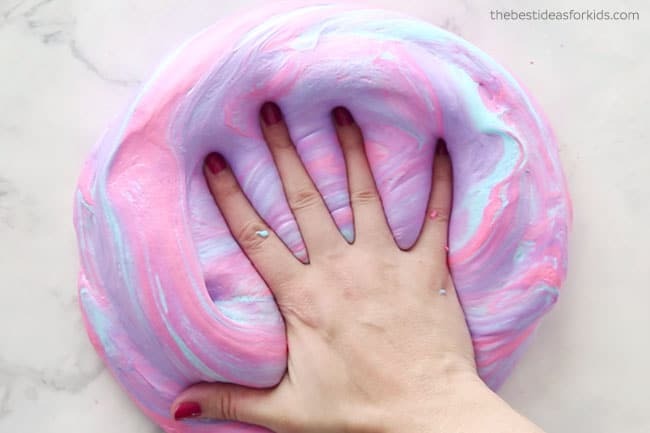 While this tutorial is for making rainbow bath bombs. you could of course keep it simple and just make your homemade bath bombs as solid color or just try mixing two colors. Feel free to add essential oils in your favorite scents! 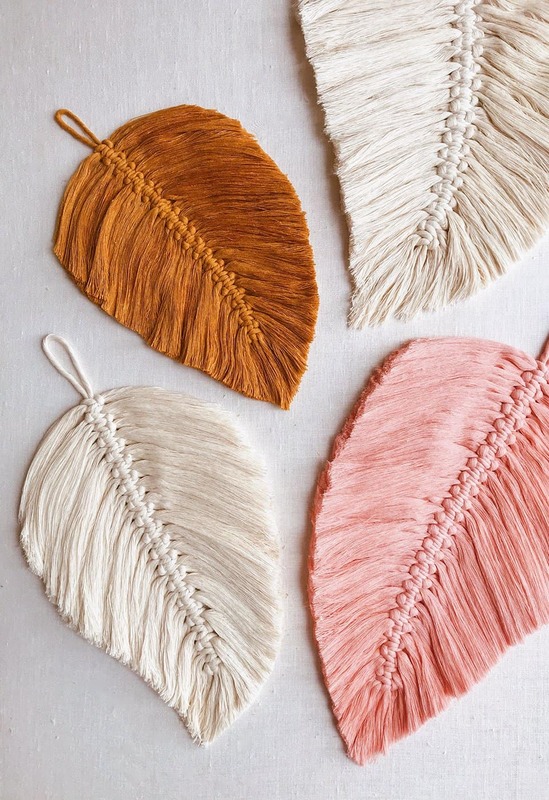 We absolutely adore these gorgeous DIY macrame feathers. Why be basic when you can come up with a super unique macrame project? What’s surprising about this DIY macrame project is that each feather is actually 18″! What a cool craft to make at home for your boho bedroom! She suggests buying 1000 feet of 50mm single twist cotton cord, this is way to much for this project. In the reviews she suggests to find some on Etsy that comes in a smaller quantity and is pre-dyed. Here’s an alternative for you to check out. 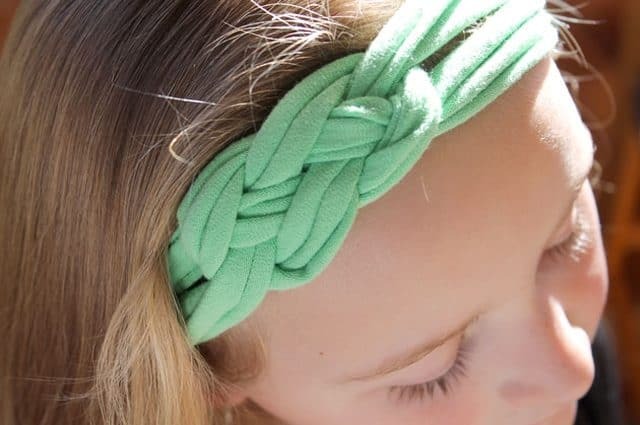 Learning how to make a t-shirt headband is a resourceful recycled craft idea for teens and makes a free DIY for girls. Making an adorable t-shirt headband is a fun and free way to upcycle your favorite t-shirt that no longer fits. Learning how to make felt coasters are un crafts for teens on a rainy day. After they’re done making coasters they can make a cup of cocoa or homemade latte. 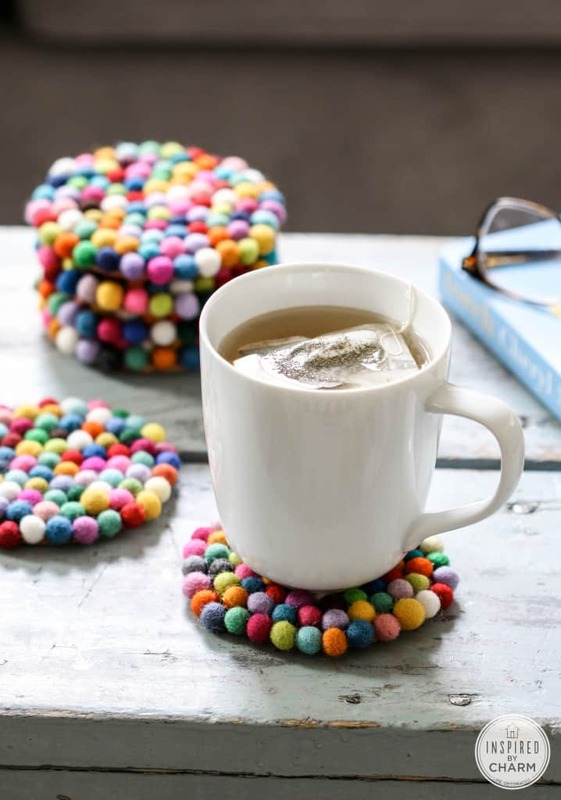 Wool felt coasters seem like something you’d find at Anthropologie, these do not look homemade! While you can buy wool felt balls, if you’re looking for an inexpensive alternative, you could use small craft pom pom balls. They might flatten down a bit over time, BUT this is a fun and inexpensive craft teens can make when they’re bored. 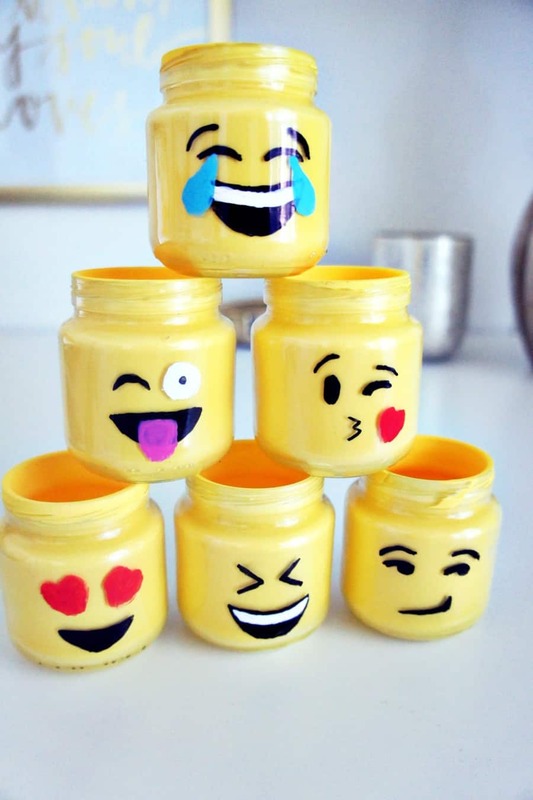 Emoji mason jars make the best crafts for teens. Whatever your current mood, you can express it on your emoji jar lol. If you don’t have mini fun sized mason jars at home (or have spare baby food jars at home), we like to buy mini jars online for cheap. Mini mason jars are perfect not only for your emoji jars, but also for homemade beauty gifts, as a mini succulent planter or for mini desserts. This yummy DIY macaron pillow was too fun not to include, but sewing skills are required! This would not be the best project to start with if you’re a teen that doesn’t yet know how to sew. 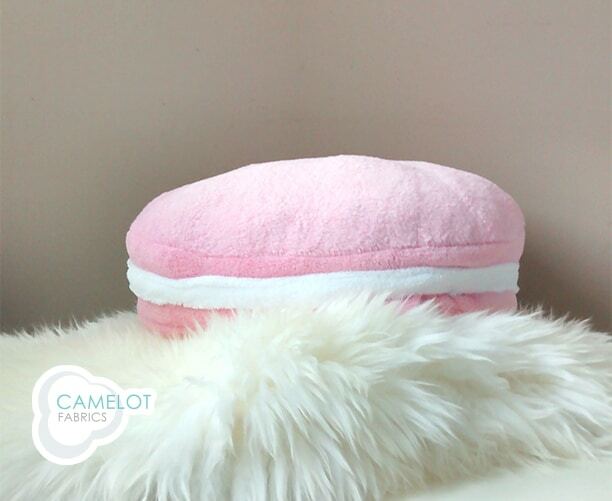 Oversized plushies are everywhere this year, if you’d rather skip this project but want a macaroon plushie, you won’t be able to pass this one up. 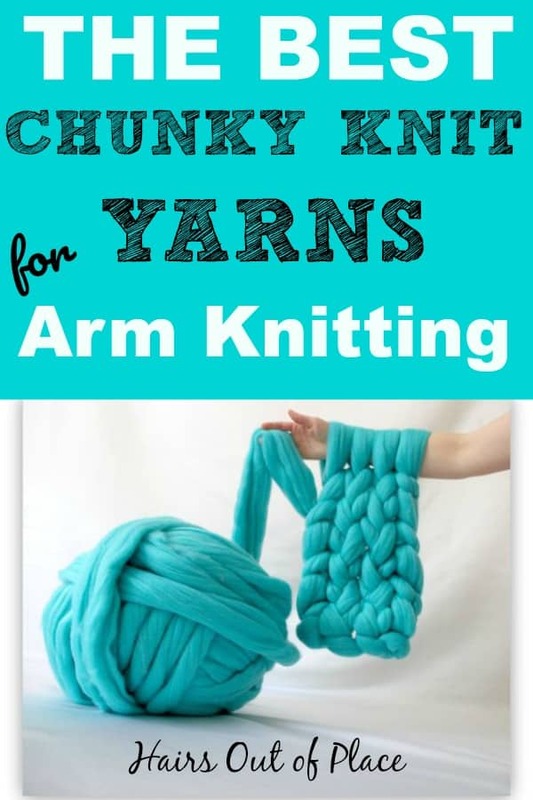 We include knitting a jumbo blanket by arm knitting, with PVC pipe or with jumbo needles and also give you the BEST yarn sources whether you want cheap craft store yarn or merino wool. 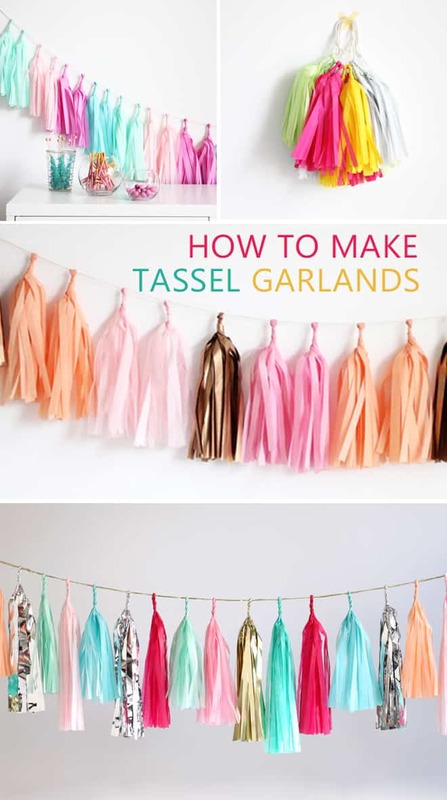 Whether you’re a teen looking for easy party decorations or just want to make cool DIY projects for your room, you’ll love this fun cool crafts with paper tassel garland! Here’s a fun and easy DIY boho wall art idea that’s cheap and easy! 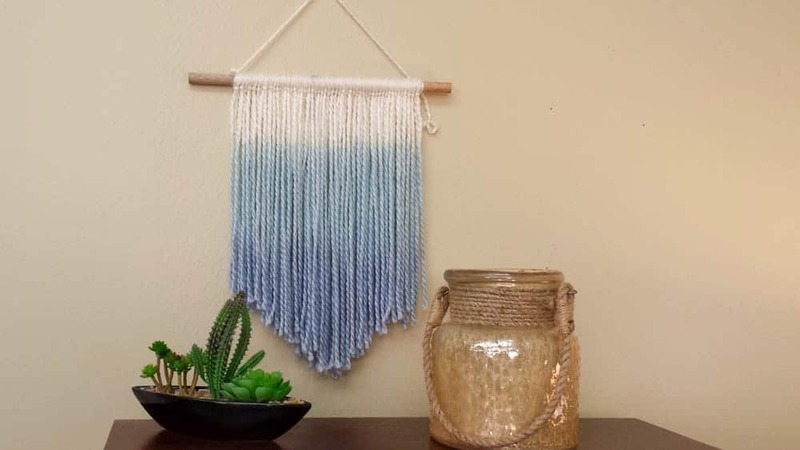 Whether you buy multi-colored yarn or dip the yarn to color it yourself to create an ombre look, this project my blinds.com is an easy DIY boho project for beginners. This project is easy, inexpensive and fun! Making a yarn wall hanging is an awesome way to make your own wall hangings before deciding to tackle a DIY macrame wall hanging ? Here’s a YouTube tutorial for this easy DIY yarn wall hanging to make it even easier! If you’re interested in more boho craft ideas be sure to check 15 more boho craft ideas for your boho chic bedroom! 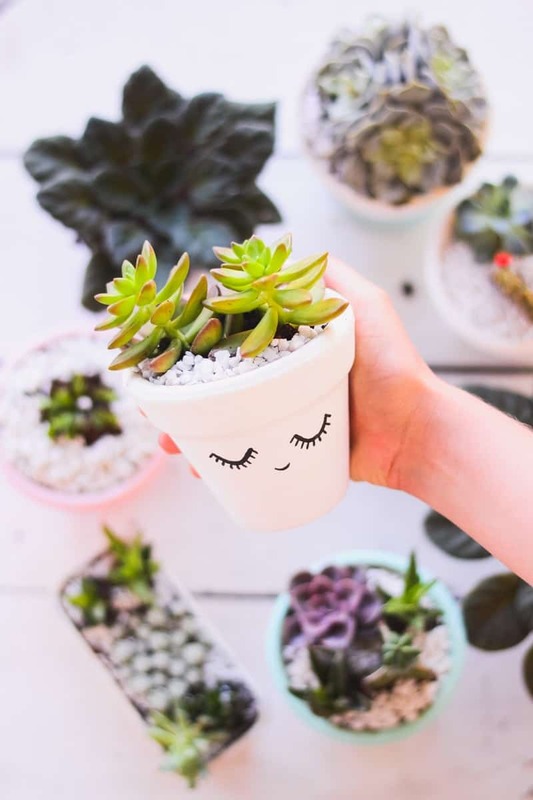 This way to cute DIY painted pots project is in Spanish, but you can simply follow along with the photos to make your own winky face succulent garden. Painting your own terracotta pots are such an easy way to give your plants a custom and cozy look. Making your own slime isn’t just for young kids this days. Theres’s just something so fun and mesmerizing about playing with fluffy slime whether you’re a teen, kid or even an adult. I hope you love our craft ideas for teens! 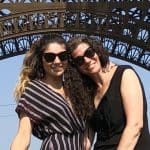 Whether this will be a craft project for her, a mother daughter craft, or are simply crafts to do with friends when bored, we’d love to hear about the crafts you make.